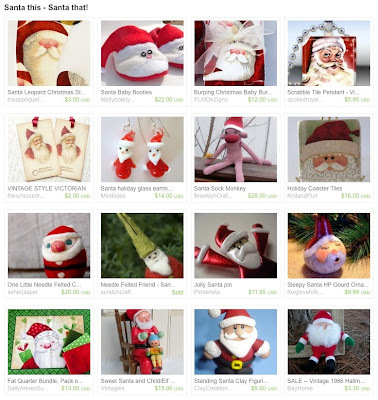 Today I got a message from HolidayHooker on Etsy telling me that I was part of her Santa treasury. Check it out! There is my Santa Sock Monkey in the middle. Alright!! That's pretty awesome. I think I would love to see a sock monkey beard too.